The last few months have been very busy. I’ve got many things I’d love to write about, including a bag full of Stories & Dice entries; however, I’m working on multiple deadlines and it’s going to be another week or two before I can get to them. In other news, I will be attending T.A.B.L.E. in Coppell, Texas on March 28-30th. It’s a gaming expo that’s working to reach out to people who don’t normally play games, and it’s got a few small-time guests like me and Steve Jackson. If you’re in the area, I hope you will come and play a game with me! And now, the latest round of Eberron questions. As always, my answers are not official in any way and may contradict canon sources; this is how I do things in my personal Eberron. What’s next for you and Eberron? Anything? The main news I do have is that the PDF of the 3.5 Eberron Campaign Setting is available online here. As for new Eberron material, no news to report yet, but I’ll let you know as soon as there is anything to know. Could you tell us about your dndnext Eberron experience? I don’t have time to go into a lot of detail, I’m afraid. I’m playing a changeling inquisitive (rogue), which means I’m really playing three or four different characters. I’m having fun with my personal vision of changeling culture, in which personas are tangible things that are shared within families and passed down to descendents; so my character has a few identities that are older than he is, and he’s got obligations and expectations to fulfill whenever he uses one of them. After an adventure involving werewolves, the DM and I have actually spun off a whole new take on the history of lycanthropy in Eberron – where the curse originally came from—and this will hopefully play a larger long-term arc in the story of the character. The game itself is sent a few decades in the future of the default setting, which means I don’t know everything; one of the other players is playing Jaela, who mysteriously vanished and has now returned with only a fraction of her former abilities. So far it’s been a lot of fun. The system is very different from both 3.5 and 4E, but there’s a number of things I like about it, and we haven’t had any trouble adapting changelings, shifters, inquisitives, and other elements to the system. I am trying to make the Orcs more than just Green, Strong Humans and could use some advice. To me, a key thing is that the orcs are a very primal race. Their emotions and instincts run deep, and they are very passionate. While they are often known for their fierce rages, this passion is just as powerful when in manifests as love or grief. They engage with the world around them more fully than many humans do. It’s easy to look back at their shared history with the Dhakaani and portray the orcs as savages who lived in the woods while the goblins built empires, but the key to me is that the orcs never wanted the civilization the goblins adored. It’s not that orcs are stupid or brutish; it’s that they don’t feel the same need to impose their will on the world that many other races do. They embrace their lives as part of nature instead of holding themselves above it. This is why they have a natural inclination for the primal classes, and why they took so quickly to Vvaraak’s teaching. As a minor aside, this quote from The Player’s Guide To Eberron might be useful. Many of the people of the Five Nations are uncomfortable around half-orcs and find the idea of humans and orcs crossbreeding to be vile and distasteful. Such beliefs have never found root in the Shadow Marches, though, and those orcs who chose to welcome humanity to their land were quick to mate with the newcomers. Those who followed the druidic paths knew that hybrids are often the strongest plants, while the Khyber cultists have always seen change as a path to power. In the Marches, half-orcs are celebrated; they are called jhorgun’taal, “children of two bloods.” Blood is everything to the clans, and the jhorgun’taal are the proof that orc and human are kin. They have the strong spirituality of their orc forebears and the wisdom of humanity, and as such many of the greatest druids and priests are half-orcs. The jhorgun’taal perform important tasks in the Marches, for while they are not as clever or charming as their human kin, they have the trust of both races. As a result, the sheriff of a muck-mining town is more likely to be a half-orc than a member of either of the pure races. Likewise, when the clans send ambassadors to negotiate feuds or trading rights, they often send a jhorgun’taal, even if a more charismatic human comes along as an advisor. While half-orcs are a true-breeding race in their own right, the jhorgun’taal are just as likely to mate with humans or orcs as with their own kind. The half-orcs of the Shadow Marches don’t see themselves as a separate race; rather, they consider themselves to be the bridge that makes humans and orcs one race. Looking to the race as a whole, I see orcs as a fundamentally chaotic race where goblins are fundamentally lawful. Goblins thrive on structure and hierarchy; orcs are more driven by instinct and impulse. Where the goblins established a vast empire, the orcs remained bound to family and clan; we’ve never mentioned a “King of the Orcs”. They are passionate and creative, but more driven by what an individual can accomplish than a nation. This doesn’t prevent them from placing value on tradition, as shown by both the Gatekeepers and Cults of the Dragons Below… but even there, both of these faiths are far less structured than the Church of the Silver Flame. Humanity has a greater impulse towards order, and House Tharashk reflects the marriage of human and orc; it benefits from orcish passion and strength, but also from the human desire to build and expand. This is a simplistic look at a complex race. The Ghaash’kala orcs of the Demon Wastes are highly disciplined… but even there, their structure is less hierarchical and complex than that of the Church of the Silver Flame. Again, my feeling is that on a very primal level they value personal instinct and emotion more highly than the rule of law. An orc lives in the moment and follows his feelings. While House Tharashk strongly reflects the influence of humanity and the half-orcs, it is worth noting that Tharashk is a house that has already been pushing rules and stepping on toes. Through its dealings with Droaam it is overlapping with the existing business of Orien and Deneith, while its inquisitive business fills a role long monopolized by Medani. This ties to that early point. They are more chaotic and more inclined to pursue their own desires than to accept the established order and be content with one niche. We have half-orcs and we have half-elves. We’ve never mentioned, say, half-dwarves, half-halflings, half-gnomes, or half-goblins. This could be because orcs are an exceptionally fertile and versatile race due to their deep primal nature. Note that when we say “half-orc” we don’t say what the other half is… so perhaps you can have orc/goblins, orc/dwarves, etc and it’s just that the orcish half is dominant enough that most people can’t tell them apart. As for elves, the elves are themselves a genetically altered slave race; they too may have an unnatural ability to interbreed with other species (and if you read the Khoravar Dragonshard, the fact that they could produce offspring with humans was a surprise to the elves as well). Perhaps the orcs are actually the root race that produced the shifters. The first shifters could easily have been primal champions created by Vvaarak and the first Gatekeepers… orcs blended with animalistic spirits. Why don’t we see many Cults of the Dragon Above? Apart from draconic prophets, Siberys doesn’t seem to have worshipers. Well, if you look to the Progenitor myth, Siberys is DEAD; those are the pieces of his body floating in the night sky. People may revere Eberron as the source of natural life and Khyber as the Mother of Monsters, but Siberys died before the world was even created. He gave us gifts; many say that the energy that is the foundation of all magic is the “blood of Siberys.” But Siberys is dead and not looking for your prayers. Beyond that, very few people worship ANY of the Progenitors directly. The short form is that the Progenitors aren’t seen as active forces. People worship the Sovereigns instead of Eberron, because the Sovereigns are seen as active forces who may intervene in mortal affairs. Khyber won’t and can’t personally do anything to you. But Khyber’s children – the Overlords – can and will. Thus, the “Cults of the Dragon Below” are typically tied to the Daelkyr, to a particular Overlord, or they are crazies who don’t actually think of themselves AS a cult; take a look at this Dragonmark for more details. Where is your favorite location in Eberron to set a game, and why? Besides Sharn. Personally? Graywall in Droaam. It’s like Casablanca, only with more trolls. It’s a frontier nation where the law is more or less whatever Xorchylic wants to be. It’s a haven for war criminals, dissidents, bounty hunters, and other interesting characters. There’s ancient ruins dating back to Dhakaan and the Daelkyr below it. And it’s a great opportunity to explore the intriguing possibilities of a nation of monsters. Check out The Queen of Stone for more of my vision of Droaam. A player wants to play an incorruptible Sharn Watch Captain. How much could he clean up his district before Boromar kills him? There’s many different layers to this question. First of all: How is this going to impact your game? If it’s PURELY background… if he’s playing a paladin and wants to say “I started out cleaning up the mean streets of Sharn, and now I’m heading out into the wider world”… personally, I’d let him. If you’re not IN Sharn, what’s the harm in it? It means when he goes back to Sharn, he’ll have some allies and enemies, and he may be disappointed at how things have gone to crap in his absence. But if your adventures aren’t ABOUT cleaning up Sharn, then what’s the harm in him having done some impressive things in his time on the force and somehow kept ahead of the hit men? On the other hand, perhaps your campaign is about Sharn, and what this player is saying is that he wants clean up the streets as part of the campaign. First of all, what district is he dealing with? Many parts of Sharn already are quite clean; Skyway is a very different place from Callestan. Second, there’s a limit to what one guard can do when the structure around him is corrupt; however gifted and virtuous he is, if his targets keep getting tipoffs, if his companions let them escape, if charges don’t stick, it doesn’t matter how many he brings in. So he may need to clean up the WATCH before he can really make a dent in the Boromar Clan; and once he’s cleaned up the Watch, he’s not a lone target any more. And remember, being in the Watch doesn’t make him judge, jury, and executioner; if he runs around slaughtering Boromar fences and smugglers, HE’S the criminal. Next up: look at any good noir story. How often do the bad guys just shoot the good guy in the head? It shouldn’t be as simple as “He arrests some guys so they kill him.” Instead, you want to draw it out, and put him in a position where he has to think about his actions and the price of his principles. If this were MY game, I would sit down with the player and ask a number of questions. I’d ask him to tell me his three favorite places in the district he protects. What’s his favorite bar? Or shop? Then tell me his three favorite people. The barmaid? The orphan beggar boy? I’d like to know about his family; his vision of what he wants the district to be; and the worst mistake he ever made (because if this is a noir character, he’s made AT LEAST one). Once I know all these things, I have a wealth of tools to play with that are far more interesting that just killing him. After all, the Boromars aren’t an especially violent organization; they prefer blackmail and coercion to murder. What does he do if they threaten his family? If they take that beggar boy hostage? If they threaten reprisals, and when he ignores the threat, they burn down that bar? If the only tool you have to work with is the life or death of the player, it’s all or nothing. So you need the player to care about other things in the world, so you can threaten those… and follow through on some of those threats. A final challenge here is to come up with a reason the Boromars don’t WANT to kill him. Perhaps he’s so beloved that they don’t want the attention that would come from an assassination… in which case one thing they’ll do is to try and attack his reputation. Perhaps Saiden Boromar has a personal vendetta… the classic “I will take everything away from him before I give him the mercy of death.” Perhaps his family has a connection to the Boromars he doesn’t know about; his father was a corrupt cop who saved Saiden Boromar’s life three times, and Saiden is going to ignore three mortal insults before he takes action. Side note: personally, I’d be inclined to have the PC be a relative newcomer in the district he wants to clean up. Either he’s just been transferred from a nicer district, or this is where he grew up but he’s been away. Rather than explain how he’s been a pain in Boromar’s rear for years and has never dealt with the consequences, start the clock NOW. You could turn it around and say that it simply makes no sense that the PC has survived this long… but someone else is looking out for him. Someone shoves the assassin from his hiding place so the PC has a chance to defend himself. Someone pushes the poisoned drink from his hand. Someone gets the barmaid out of the bar before it’s destroyed. Is it the Chamber? A Lord of Dust who has plans for the PC? The Tyrants? House Thuranni? Someone could have long term plans for the PC… or they could want to see the PC clean up the district, but want him to be the figurehead. The short form: There’s lots of ways to make this background work. It’s all a question of how far you want to go with it, and what impact it’s really going to have on your actual campaign. As a minor recommendation, I suggest Warren Ellis’ Fell (available in graphic novel form); here you have a story of a remarkable detective sent into a corrupt place, who does his best to clean it up but is limited by the overwhelming scope of the corruption and his own very limited resources. Find ways to make little things feel like big victories; he doesn’t have to bring down the entire Boromar Clan on day one, and they can overlook a lot of little losses. How do you keep track of SO many factions? Generally speaking, I don’t. In any particular campaign, I pick a certain number of factions I want to use, and I pick a few of the major villains. I don’t try to weave Vol, the Dreaming Dark, the Daelkyr, the Aurum, the Lord of Blades and half a dozen Overlords into a single coherent plot; instead I pick two or three that I will focus on, typically with one as the obvious initial threat, one as the hidden long-term threat, and one as the wild card, and focus on those. The others are around for me to sprinkle in for interesting one-shots, but I don’t try to make them all equal. Short form: Most of these forces are playing a waiting game. The Stars (or the Prophecy) need to be right for the Daelkyr to pose a threat. If I don’t want to use them, I simply assert that their stars won’t be right for another century; they simply aren’t going to be major players in this arc. This also addresses the question of why all these world-threatening forces aren’t stomping on each others’ toes; they simply don’t all have to be active right at this moment. Are there many other large ‘franchises’ in Eberron, aside from the Houses? Certainly. Most of the major members of the Aurum are people with their own franchises of one form or another; I suggest you check out this Eye on Eberron, if you can. Organized crime gives you another recognized brand, such as Daask and the Boromar Clan. Many of these sorts of franchises are limited to a particular nation, but are still everyday encounters in those nations. On a broader scale, you have the Church of the Silver Flame, which touches the world in many ways; a key example would be their free clinics. You generally can’t get the magical services you could get at a Jorasco house and it’s not as comfortable, but it’s a low-cost alternative for people who need help and something everyone is familiar with. Another would be the Korranberg Chronicle, which is known and respected across Khorvaire. It’s a common misconception (one made by many of the inhabitants of Khorvaire and Stormreach) that the drow are especially hung up on scorpions. The Sulatar and Umbragen don’t care about scorpions at all. Among the jungle tribes, Vulkoor the Scorpion is simply one of a pantheon of primal spirits; if you read The Gates of Night or The Shattered Land, Xu’sasar calls on a number of other spirits. The Vulkoori tribes consider Vulkoor to be the greatest and most powerful of these spirits, but that’s a particular choice of a particular group of tribes. These are Big Unanswerables. A key point is that no one actually agrees on what Dolurrh IS or what happens to the souls that go there. It’s a provable fact that when someone dies a soul appears in Dolurrh that matches them, and that this soul then fades over time. The most common theory among the Sovereign Host is that the “fading” isn’t destruction at all; rather, Dolurrh is a GATEWAY to the realm of the Sovereigns, a place that is beyond all mortal experience and cannot be visited even with planar magic. The “fading” effect is the process of the soul transitioning to this higher realm; and what is left behind is just a husk, like a discarded snakeskin. Meanwhile, the Blood of Vol asserts that Dolurrh is the end; some believe that the Sovereigns created Dolurrh specifically to destroy mortal spirits, and that your spirit is drawn their after death because they designed it that way. Others say that the “fading” is the spirit being cleansed so it can be reused and reincarnated. But there’s no absolute “right” answer. With that said… the general answer to big unanswerables such as “Why are souls made and what draws them to Dolurrh” is “The Progenitors did it.” The Progenitor myth includes the creation of the planes and the creation of mortal and immortal life. They set the system in place; they simply don’t interfere with it directly now it’s in motion. Meanwhile, the Sovereigns aren’t described as having CREATED the world; they simply govern particular aspects of it. In your opinion, which nation is most likely to restart the Last War? In MY Eberron, definitely Aundair. Of the current rulers of the Five Nations, Aurala is the only one who’s called out as really having a strong vision of reuniting Galifar. In my Eberron, Aundair is also aggressively pursuing research into new forms of war magic, as arcane magic is the only thing that offsets Aundair’s small size and population. This could be seen as a threat or provocation by the other nations… or alternately, if Aundair does develop superior rituals it could give them the confidence to act. Another possibility is Cyre. Groups such as Dannel’s Wrath want vengeance for the fall of Cyre, and might engage in terrorist actions designed to provoke the other nations to war. None of the other rulers—Boranel, Jaela, or Kaius—are portrayed as having an interest in war. However, Boranel and Kaius are specifically called out as being in precarious positions. Boranel is old and there’s a movement that’s interested in unseating the monarchy in Breland; and Kaius has alienated many of the warlords. If a current ruler is displaced, a new ruler could emerge with a more aggressive agenda. The comic introducing Chapter 1 of Magic of Eberron suggests that nobility can have Karrnathi undead minions. Is that common? It depends how you define “minions.” You can’t buy Karrnathi undead, and you can’t key them to be specifically loyal to a particular person. For more information on the process used to create them and the nature of Karrnathi undead, check out the article on Fort Bones. Karrnathi undead are soldiers by nature. It’s believed that they channel the martial spirit of Karrnath. As such, they typically abide by the military chain of command; in The Queen of Stone, there’s a Karrnathi skeleton with the Karrnathi delegation. You could also find them serving bone knights regardless of their current standing. So personally, when I look at the comic in Magic of Eberron, I assume that Lord ir’Krast is a bone knight or a high-ranking member of the Emerald Skull or a similar order. The skeleton is loyal to someone who happens to be a noble; that doesn’t mean any random noble could purchase a Karrnathi skeleton. It’s one of the economic advantages of the warforged; anyone could buy one of those. How would one get to the Lair of the Keeper in the Demon Wastes? The simplest way would be to take a boat to the ruins of Desolate and cut across on land from there. A more difficult path would be to go through the Labyrinth to Festering Holt and go north, which among other things takes you very close to Ashtakala. Bear in mind that there’s no perfect maps of the Demon Wastes, so it’s not as though anyone in the Five Nations knows EXACTLY where the Lair of the Keeper is (and SURPRISE – it’s shielded from divination!). It’s very much a “Here there be dragons” situation; its location is loosely derived from a handful of ancient accounts and Ghaash’kala myths. If you really want to find it, you’d be best off getting a local guide or dealing with a living person who’s been there… say, Sora Teraza. What info have you been hiding about the dwarves that got sealed in Khyber by their now topside dwelling kin? I feel like I’ve written about this in detail somewhere, but I don’t remember where. Short form: In MY Eberron, they were wiped out or corrupted beyond recognition during the Daelkyr Incursion. The ruins of the Old Kingdom are now filled with aberrations and other horrors, and there’s a Daelkyr somewhere beneath the Ironroot Mountains. Mror heroes sometimes go below in search of glory and treasure. Oh, and bear in mind, the surface dwarves didn’t seal the other dwarves below… the surface dwarves got KICKED OUT of the awesome subterranean kingdom. Check out this Dragonshard on the subject. Which factions or countries have the largest rivalries with each other? … And that’s just the tip of the iceberg. Beyond that, if you pick one of the Five Nations, you can probably find a faction in any of the other Five Nations that hates them. What is the royal symbol of the kingdom of Galifar? I’m not sure it’s ever been defined in a canon source. In my Eberron, it’s a gold crown bearing five jewels, set against a green field; I believe a canon source somewhere speaks of Cyre as “the purple jewel in Galifar’s crown,” and this is where that expression comes from. Cyre kept the Crown of Galifar on its flag during the war, while adding other elements. Are there equivalents to European monastic orders for the major faiths? Sure. It’s touched on at the beginning of this Dragonshard, though it then turns to a description of more martial orders. Many of the creatures can trace a path back to their origins, but what of shapechangers? We know changelings descend from dopplegangers, but where do beasties like dopplegangers, and by proxy things like tibbits, come from? Depending on what edition you’re using, the distinction between changelings and doppelgangers can be blurred. In 3.5 they are concretely distinct species; in 4E “doppelganger” is an alternate word for changeling, implying that the changeling uses his abilities for larcenous purposes. As for origins, I’ve developed a particular changeling creation myth for my D&D Next character; perhaps I’ll include it in a dedicated Changeling post in the future. I’ll also point out that one of the first D20 products I had published was The Complete Guide to Doppelgangers, by Goodman Games; there I propose a lifecycle that links doppelgangers and mimics, though it’s not something I’d use for changelings as presented in canon Eberron. Who judges those convicted to go to Dreadhold? Sivis judges, international judges, judges from the 5 nations? The key thing to bear in mind is that Dreadhold isn’t directly tied to ANYONE’S legal system. Dreadhold is a for-profit operation run by a business, House Kundarak. Consider prisoner Deep Fourteen, who some believe to be the true Kaius III. He was never convicted of any crime. Almost no one in the world knows that he exists. He was sent to Dreadhold by the King of Karrnath, who is paying for his incarceration. With that said, does this mean ANYONE can send someone to Dreadhold? Probably not. I expect that Kundarak has a certain criteria they apply before they accept prisoners from you, likely defined by your legal status and your wealth. The short form is that they take prisoners sent to them by the courts of the Five Nations… but they probably also take prisoners sent to them by the Aurum or patriarchs of Dragonmarked Houses. It’s not Kundarak’s job to determine guilt or innocence; it’s their job to imprison the people they are paid to imprison, for as long as they are paid to do so. A potentially interesting point would be to have Dreadhold release a host of dangerous criminals or political dissidents (some who may have been preserved in the Stone Ward for centuries) that were imprisoned by United Galifar or Cyre, because none of the Thronehold nations want to keep paying for their imprisonment. Being a private or for-profit endeavor, house Kundarak could get in trouble in my opinion if they accept to imprison someone in exchange for payment when that someone is innocent or not deserving such a harsh punishment and is sent to Dreadhold by a nation or anyone else who is its rival. First off: We HAVE discussed the existence of international courts that judge war crimes, established under the terms of the Treaty of Thronehold. The key is that these courts have nothing in particular to do with Dreadhold. They can choose to send a person to Dreadhold, but if they do someone will have to be designated to pay for it, and be treated like any other client. Kundarak evaluates every prisoner submitted to Dreadhold. They consider all the risks associated with incarceration; these include the challenges posed by the prisoner and risks associated with the prisoner’s outside influence. If they decide to accept the prisoner, they set the cost of imprisonment. If the client agrees to those terms, they will maintain the incarceration until the client or their heirs cease payment or cancel the contract. What DON’T they consider? If the prisoner is innocent or guilty. That’s not their problem. Dreadhold isn’t about justice. Every nation has its own prisons. Dreadhold isn’t part of any nations’ judicial system. You send someone to Dreadhold when no other prison can hold them; when you are concerned about an uprising or military action to free them; or when you can’t kill them but never want them to see the light of day again, like Melysse Miron. Dreadhold exists in international waters, and it’s not under the jurisdiction of any kingdom. If Aundair objects to the imprisonment of someone Breland has sent to Dreadhold, Kundarak’s answer is simple: take it up with Breland. If you want, you can lay siege to Dreadhold; however, it is one of the most impregnable fortresses in Eberron and on top of that, your nation would face immediate sanctions from the Twelve. Case in point: Prisoner Deep Fourteen. He’s being held incommunicado, masked, in a deep cell. His identity is hidden from the world. Is he guilty of something? Given that we don’t even know his identity, who knows? Kaius wanted this person to disappear forever, so he sent him to Dreadhold… there’s no one to challenge this, and Kundarak doesn’t care what his story is. With that said: Kundarak can and will refuse submissions. Let’s say Erandis Vol kidnapped Jaela and sent her to Dreadhold. Kundarak would in all likelihood refuse to take her, not wanting to have the entire Church of the Silver Flame rise against them. On the other hand, if Cardinal Krozen sent her to Dreadhold with the full support of the church, they would take her. It’s not a question of innocence or guilt; it’s the fact that if she’s sent by the church, it’s safer for Kundarak to take her. But the key thing to remember: Dreadhold isn’t about justice. It’s a business, plain and simple. Half the people in there may be innocent; if you want to get them out, take it up with the people who imprisoned them, or break them out yourself. Is the Church of the Silver Flame still paying for Melysse Miron’s incarceration, or do they have an alternate deal worked out with Kundarak? Yes, they are still paying for her. With that said, I doubt she’s the only one; I suspect they have a significant ongoing payment that covers a significant number of prisoners. It’s likely they are covering Saeria Lantol’s imprisonment as well. The mandate of the church is to protect the innocent from supernatural evil. If the best way to do that is to pay for its incarceration, they will. How do the Sentinel Marshals view Dreadhold? On the one hand, it houses legitimate prisoners, which they must support, but does the incarceration of others not in accordance with any law give them pause? If a person was kidnapped according to the laws of the nation in which the crime occurred, and then sent to Dreadhold, would the Marshals feel a need to do anything about it? During the reign of King Galifar III, House Deneith was granted the right to enforce the laws of the kingdom, bringing fugitives to justice and enforcing punishments in exchange for gold. Sentinel Marshals aren’t tied to the Watch. They aren’t casual law enforcers. If a Sentinel Marshal is walking down the street and sees a robbery, he’s not OBLIGATED to do anything about it. Many are honorable people who MIGHT… but that’s not their job. They are private contractors who are authorized to enforce the law across Khorvaire. Some Sentinel Marshals are deeply concerned with honor and justice; for others it’s just a job. It’s a job they have to take very seriously – Sentinel Marshals are held to very high standards of conduct – but you could easily have an evil Sentinel Marshal, who plays strictly by the rules but doesn’t give a damn what happens to the criminals he brings in. Meanwhile, looking back to Kundarak: THEY aren’t the kidnappers. As I said, Dreadhold is in international waters. If the person who brought the prisoner to Dreadhold kidnapped them, fine – FIND THE KIDNAPPER and get them to end the incarceration contract. So say Saiden Boromar kidnaps someone and sends them to Dreadhold. If there’s a Sentinel Marshal who’s so infuriated by this miscarriage of justice that he’s going to take independent action to do something about it, the best thing for him to do would be to expose Saiden and bring him to justice. SAIDEN has committed the crime of kidnapping in a nation bound by the Code of Galifar. Dreadhold is NOT bound by the Code of Galifar. Fun side note: As Dreadhold is in international waters and not actually covered by the Code of Galifar, it’s technically not a crime to break into Dreadhold. It’s a frontier operation. if Kundarak catches you, well, they may just throw you in a deep cell… but you won’t end up in a court anywhere. Again about Dreadhold, since they are in international waters, they could be payed to perform tortures to a prisioner? I’m sure that they could; after all, one could argue that the conditions of Deep 14’s imprisonment are a form of torture. With that said, I don’t see them resorting to torture to acquire information. In a world where people have access to detect thoughts, zone of truth, discern lies, and so on, I can’t imagine that the keepers of the most sophisticated prison in Eberron would use physical torture as a primary means of extracting information… though I suppose that physical and psychological torture could be COMBINED with some of those spells as a way to force an answer and then verify its accuracy. While they could farm this out to another house, it wouldn’t surprise me if Kundarak has its own specialists in this; after all, psychological warfare would play an important role in holding certain prisoners. Since he came up, are there any people that you have in mind for Prisoner Deep Fourteen besides the real Kaius? Spoilers here, so if you don’t know Kaius’ story skip this question. I don’t have anyone in mind for D14, but I could brainstorm a few possibilities, given a moment. He’s someone Kaius wants alive, but not allowed to speak or write. The idea that he’s a relative is one possibility. Another is that he’s a Karrnathi warmage who committed war crimes so vile he couldn’t be left at liberty (in part because other nations would demand justice) but Kaius wants to be able to retrieve him if there’s another war. A third even zanier possibility is that HE is Kaius I, and that the biggest secret of Karrnath is that Kaius III IS Kaius III, presenting himself to Kaius’ inner circle as his grandfather. If you want to get really deep into conspiracies, try this. Erandis arranged to have Kaius transformed. Because of the nature of this process, the vampire that transformed Kaius has direct influence over him, if s/he chooses to exert it. Unwilling to live with this threat hanging over him, Kaius I turned Kaius III into a vampire. In this theory, I’m asserting that a vampire can assert control over his direct progeny, but not over THEIR progeny. So K1 sires K3, and then arranges for K3 to send him under deep cover into Dreadhold. K3 poses as K1 posing as K3. His mission: to find and eliminate K1’s sire, so no one can dominate K1; once that’s done, he’ll free K1 from Dreadhold. In the meantime, Erandis is baffled by the fact that she can’t exert control over Kaius. Personally, I like the idea of K3 posing as K1 posing as K3… but perhaps I’ve been watching too much Orphan Black. Now, I just came up with this idea on the spur of the moment. But running with it a little further, you can get even farther out there and say Kaius III isn’t a vampire. Here’s the sequence of events. Kaius is turned into a vampire by Erandis. After being undercover for a time, Erandis sends him to replace K3 and take over Karrnath; she likes the idea of having a puppet on the throne. But K1 is no one’s puppet, and he has his own scheme. 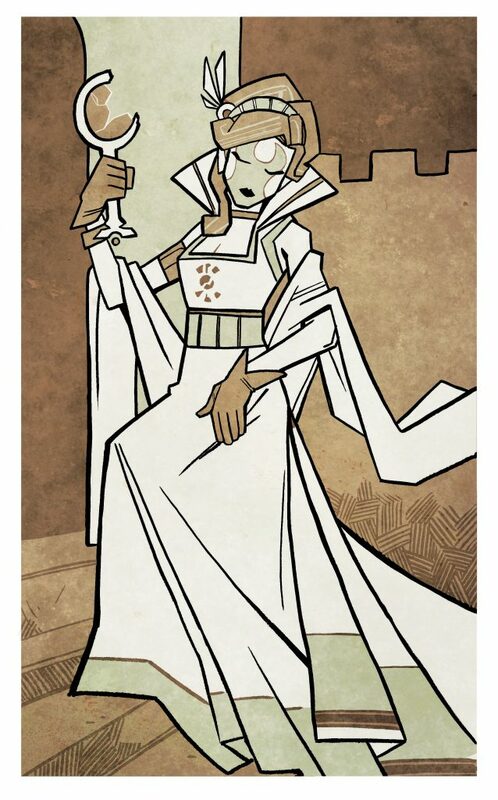 K3’s lover Etrigani is a deep-cover Deathguard agent, and knows rituals that can allow a living person to appear undead, a variant of the half-life techniques common among the Jhaelian clan. Together, Etrigani, K1, and K3 arrange to make it SEEM as though K3 is actually vampire K1. This “coup” – the idea that K1 has replaced K3 – is revealed to Morana and the other inner circle of Karrnath, and of course all of Vol’s spies. “K3” – actually K1 – is sent to Dreadhold, and made incommunicado, so there is no way for Vol to manipulate him; he can’t get out even if he wanted to. Etrigani and K3-posing-as-K1 want to destroy the vampire that sired K1 and to get as much information as they can about Erandis’ inner circle and her reach in Karrnath. Again, in this scenario Etrigani is an agent of the Deathguard, who have been trying to eliminate Erandis for centuries. But K1 is under close scrutiny by Vol. She doesn’t understand why she can’t control him, but he’s doing his best NOT to reveal his true identity. He’s too closely watched. He needs agents she doesn’t know… agents like the PCs. The main thing I like about this is that most people who know Eberron know that Kaius III is a vampire and Kaius I. To negate both of these – not only is he actually Kaius III, he’s not even a real vampire – is a great way to catch people who think they know everything about the world offguard. And it helps solidify K3 and Etrigani’s relationship; it’s not that she loves him in spite of his being a vampire, something that’s an anathema to her people; rather, she loves him because they are working together to bring down Erandis, and it’s her skills that allow him to maintain his masquerade. Eberron has its fair share of apocalyptic villains. The Lords of Dust serve fiendish Overlords who ruled the world in the dawn of time and wait to be released to rule it again. The Dreaming Dark uses our dreams as tools to enslave us. Then there are the Daelkyr. Eight thousand years ago, the Daelkyr came through from the plane of madness, and by the time they were bound in Khyber they’d brought down the Empire of Dhakaan. Unlike the Overlords, the Daelkyr are still active in Khyber. You could go down into the underworld and meet one. Their stats in the 3.5 ECG don’t even seem that impressive, really. So what’s up with the Daelkyr? Why bother with them when you have the more powerful and ancient Lords of Dust around? What do they bring to a story? First of all, what are the Daelkyr? The Daelkyr are powerful entities from Xoriat, the plane of Madness. They aren’t the most powerful denizens of Xoriat; they are simply the mightiest to have shown any interest in other planes. They are immortal outsiders, not creatures of flesh and blood. The slightest touch of a daelkyr can sicken or warp organic creatures, and its mere presence can cause temporary madness. Peering into the mind of a Daelkyr can cause permanent insanity. This speaks to the fundamental difference between the Daelkyr and all those other forces: we don’t understand them. The others make sense to us. The Dreaming Dark wants to control the world because that’s the only way they can secure the survival of their culture. The Lords of Dust want to free their masters and restore their primal dominion over the world. The Daelkyr… we just don’t know. At the end of the day we don’t know what they want or how they intend to achieve it. We know what’s keeping them at bay – the seals created by the Gatekeepers – but we don’t know why the Daelkyr haven’t already broken those seals or what would happen if they did. Unlike the Overlords, the Daelkyr are free to move about in Khyber. They have armies of aberrations and cults scattered across the world. Why haven’t they taken more active measures to secure their release? Are the mightiest Daelkyr working together, or are they working at cross purposes? Why is it that their cults often follow completely different creeds and are quite often entirely unaware of one another? Again, at the end of the day, we don’t know. We know they are down in Khyber. We know the power they possess. But we don’t know what they want or what they are doing. A common theory is that the Daelkyr aren’t actually soldiers or conquerors: they are scientists and artists. They don’t actually have any interest in ruling the world or in destroying it; they are simply interested in changing it. They took the goblins of Dhakaan and created dolgaunts, dolgrims, and dolgarrs from them and then sent those creatures back against the empire. It could be that this conflict was all they wanted… they didn’t actually CARE about who won, they simply wanted to watch the goblins fight these twisted mockeries of their own kind and see what impact that had. And in the end, it wasn’t the military force of the Daelkyr that destroyed the empire; it was the seeds of madness, the rivalries created, the erosion of faith in tradition, the cults, and all the myriad other long-term effects that brought down Dhakaan. The Daelkyr wounded the empire with brute force, but it was the infection over time that killed it… which may have been their goal all along. Meanwhile, they DIDN’T make any sort of dolgaunt equivalent from orcs; instead they just spawned a host of cults that linger to this day. Yet many of those cults don’t directly revere or serve the Daelkyr themselves. Again, it seems like change was more their goal than destruction. Part of the point here is that the release of a Daelkyr is not likely to be anywhere near as apocalyptic as the release of an Overlord. It’s something that would have dramatic effects on a region – but it could conceivably go unnoticed by the world at large for years. Heck, there could be a free Daelkyr at large right now. Let’s look at a few questions. Was the daelkyr’s humanoid appearance always part of the concept? Bear in mind that a Daelkyr can cause confusion at will – which is to say, it can break your mind just by thinking about you. Given that, the idea that different people may see Daelkyr differently is a fairly minor thing. With that said, I also believe that different named Daelkyr will have unique appearances. We’ve shown Kyrzin (Prince of Slime) as a vaguely humanoid slime with human limbs embedded in it. I’d expect Belashyrra (Lord of Eyes) to be associated with eyes. With that said, I WOULD be more inclined to make Belashyrra some sort of humanoid as opposed to, say, a giant beholder. Daelkyr do carry symbionts designed to be used by humanoids. They may not look HUMAN, but I think they manifest in a humanoid shape. How high is the Daelkyr threat level compared to the overlords? As described above, I don’t consider the Daelkyr to be as IMMEDIATE an apocalyptic threat as the Overlords. The release of the Daelkyr won’t mean instant devastation; the main thing is that once those seals are broken, you may never be able to fix them again. The conflict between the Dhakaani and the Daelkyr lasted for centuries, and I wouldn’t expect things to be different now. A released Daelkyr wouldn’t destroy the world… but it WOULD start changing the region around it, and might eventually fling an army of aberrations at the country next door, spread plagues or waves of madness, or otherwise do things that could harm tens of thousands of people or break the existing balance of power. I’ll touch on influence in a moment, but speaking to “strength”, there’s a few things. First, bear in mind that a Daelkyr should never be found alone. They create monsters, madness, and bizarre diseases as a hobby, and have had eight thousand years to indulge in this. Belashyrra has a battalion of beholders, not to mention dolgaunts, mind flayers, and anything else you care to create. And if you want to say that Belashyrra has bred an army of 100,000 beholders and has it sitting under Sharn right now… than he does. Second: Don’t be limited by the stats that are presented. First of all, Daelkyr are like demon princes. All of the major ones – Belashyrra, Kyrzin, Dyrrn the Corruptor, Orlassk – should be unique individuals with their own powers. Second, more than any other creature in D&D, Daelkyr should break the rules. The fundamental rule of the Daelkyr is that we don’t understand them. As powerful as the Overlords are, they are part of Eberron. They are embodiments of concepts that shape our world. The Daelkyr are something else entirely. They don’t belong here. Having magic or other fundamental rules warp around them is entirely in keeping with them as a concept. Aside from the fact that direct magical effects may not work as you expect, feel free to assign powers to Daelkyr that simply have no grounding in standard mechanics. For example, it’s said that Belashyrra can see through anyone’s eyes. Maybe that’s exaggerated; maybe it’s the literal truth. Maybe he can blind anyone he wants – anywhere, anytime – or swap your sight with someone else, so suddenly you’re seeing the world through the eyes of an orc shaman in the Shadow Marches. Meanwhile, the Marchers say that Kyrzin has influence over anyone who’s suffering from excessive mucus. Maybe a faerie tale… maybe not. Again, the key with the Daelkyr is that we DON’T KNOW. This is enhanced by their alien attitude and uncertain goals. If the Dreaming Dark could see through everyone’s eyes, they would use it to further their known agenda. Belashyrra COULD do lots of useful things with this gift, and simply chooses not to. Why? How much day-to-day influence do the Daelkyr actually have, and why? As opposed to mere personal might? This ties to the question above: We don’t know, because we don’t know what they want, and we don’t know what they are capable of. It’s possible that anyone who’s got a cold is an unwitting agent of Kyrzin, and that anyone who’s got eyes is an unwitting spy for Belashyrra. Beyond this, ANYONE WHO’S CRAZY MAY BE CRAZY BECAUSE OF THEM. And “crazy” is a very broad term, as I’ll discuss when we get to the cults. Furthermore, the Daelkyr can always create new things we’ve never seen before. Someone asked if the Daelkyr could actually be responsible for Dragonmarks. Why not? The Daelkyr specialize in creating and modifying lifeforms. They get to break the rules. They could have created the dragonmarks as a weird living way of embodying the Prophecy that the dragons and fiends still can’t really understand… and the aberrant dragonmarks are a weird variant of that experiment. This could relate to the Cult project in my City of Towers novel… and could mean that they could create new dragonmarks, move them onto new races, etc. So the short form is “How much influence do they have? Well, how much influence do you WANT them to have?” The key here is that a campaign in which the Daelkyr are the villains should feel entirely different from one dealing with the Dreaming Dark or the Lords of Dust. it doesn’t HAVE to revolve around the release of a Daelkyr; it could revolve around the emergence of a new sort of dragonmark, an attack by an army of previously unknown aberrations, the killing spree of a single bizarre serial killer, the spread of a horrible plague… or all of these things stitched together in a strange and unexpected tapestry. I find that horror is difficult to pull off without visual aid. This needs to be the subject of its own blog post, but the trick here is that the gooey symbionts are really the least frightening thing about the Daelkyr. What’s far more frightening is the fact that you don’t know what they are, what they want, or what they can do to you. Say you are looking in the mirror one morning, and just for a moment you see Belashyrra looking back at you. What does it mean? Perhaps a small eye-shaped dragonmark-like tattoo then appears on your hand. What does it mean? Perhaps you start having telepathic intuitions about the motives of people around you. They save you from an ambush, but… what does it mean? Then you hear about another fellow who had the same mark, and who ended up killing his friends and family and disappearing… and no one knows why. The fear here isn’t VISUAL at all; it’s the fact that you are touched by something you don’t understand, you don’t know why, you don’t know what to do about it, and you don’t know what’s going to happen next. Similarly, when dealing with the powers of the Daelkyr, think about what they actually are and what can make them horrifying. A Daelkyr can use confusion at will. But what does it mean to be “confused”? Does it take you back to the most horrible time in your life when you were surrounded by enemies? Does it make you watch helplessly while your body blunders around on its own? When it uses Feeblemind, it is stripping away your ability to speak, to understand language, to do anything you once could do… the idea of that, of being conscious but unable to communicate, unable to remember how to use a sword or cast a spell… that’s more horrifying to me than any gooey monster. The horror of the Daelkyr is the things you CAN’T fight with a sword… and the fear of what might be coming next. Why don’t the Daelkyr team up and free themselves, like, right now? I’ve answered this above, but I’ll reiterate it here… THIS IS A QUESTION DAELKYR SCHOLARS HAVE BEEN ASKING FOR CENTURIES. It may be because they don’t care about being imprisoned. Perhaps it’s because they are immortal and know that the seals will all break in 999 YK when Xoriat finally becomes coterminous again, and they don’t mind waiting. Perhaps it’s because they can do everything they want to do WHILE being imprisoned. Or perhaps it’s because they are engaged in a series of feuds so esoteric and strange that we don’t even know they are going on! Was the Undying Court ambivalent to the daelkyr invasion of the Dhakaani empire? Or busy with some other pressing business at the time? Short answer: The power of the Undying Court is concentrated in Aerenal. They undoubtedly took action to defend Aerenal from the incursion. The Dhakaani had already fought the Tairnadal and driven them from Khorvaire, so there was no love between elf and goblin; even if the Court had the power to help Dhakaan, it’s not much of a surprise that they chose to focus on their own defense. Is there any evidence to support the claim that the daelkyr were refugees seeking asylum in Eberron and that the Dhakaani empire was the one to initiate hostilities, forcing the daelkyr to respond in self defense? None at all. You may be thinking of the theory that the Quori were refugees seeking asylum in Eberron when they were attacked by the Giants; there’s a fair amount of evidence suggesting that, and more important, neither culture survived to the present day, so there’s no way to verify it. Meanwhile, we have the Gatekeepers, Heirs of Dhakaan, and the Daelkyr themselves as multiple living threads attesting to the hostile intent and actions of the Daelkyr. With that said, it can be argued that the Daelkyr don’t consider collapsing civilizations and warping creatures into new forms to be a hostile act. Are there Gatekeepers corrupted by the Daelkyr? Certainly. “Gatekeepers corrupted by the Daelkyr” is an entirely valid foundation for a Cult of the Dragon Below. Consider the link above. The question about the Undying Court’s reaction (or absence thereof) to the Daelkyr invasion of the Dhakaani Empire reminds me of one that’s been bugging me for some time. Did the Daelkyr only target Khorvaire for their invasion – and within Khorvaire, only the south-west in and around the Shadow Marches and some of the border areas? I’ve read that the chokers may have been formed from halflings, so strikes into the Talenta Plains may have happened – but what of Xen’drik, Argonessen, or Sarlona – who, in the absence of Gatekeepers, would have been defenseless? As far as has been mentioned in canon, the Xoriat incursion was limited to Khorvaire; notably, there’s no mention of it having targeted Sarlona at all, and even the problems of the Umbragen came after the Daelkyr were trapped in Khyber. They struck across Khorvaire; in addition to the Talenta Plains example, they also wiped out the Dwarven civilization that once existed below the Ironroot Mountains. Looking to the question of why they’d do this when there were other, easier targets… the Shadow Marches has an unusually large number of manifest zones to Xoriat, and this is part of what made the incursion possible in the first place. Bear in mind that there were no Gatekeepers in Khrovaire when the Daelkyr attacked; they were formed in response to the incursion, and if the Daelkyr had attacked Sarlona Vvaraak would have gone there. But most of all, bear in mind that the Daelkyr weren’t looking for a defenseless place. They weren’t trying to claim territory; they were (as best as we can tell) interested in transforming the world. Today, Dhakaan has fallen, and we have dolgaunts and dolgrims, derro beneath the mountains, cults of the Dragon Below, chokers in the shadows… it’s not clear that they are unsatisfied with the outcome. As noted in the other Dragonmark, they don’t seem to be working very hard to break the seals. Having dropped seeds of madness into Eberron, they may simply be watching as those seeds spread, waiting until the time is right for the next phase. Because if you’re in the cult, it doesn’t seem “wrong.” Imagine that you wake up one morning with the sudden realization that you are the reincarnated soul of King Arthur, and that you have to save the world from the new Modred. You have the ability to see the auras of the other Knights of the Round Table, and so you start gathering them together – and they in turn see you as their king. You even find Merlin dwelling in the sewers, and he whispers to you of your missions. This is a perfect model for a Cult of the Dragon Below. The cultists don’t see that “Merlin” is a mind flayer, or that “Excalibur” is a bizarre sword formed from muscle and bone; they see it as the most perfect sword ever formed. Because they are insane. It may be a extremely subtle madness, and “King Arthur” may be a brilliant and charismatic leader. But he’s still convinced that he IS King Arthur, when in fact he’s just some random soldier holding a gooey sword and talking with a mind flayer. To you as an outsider it seems “wrong.” For him, it is his destiny and a quest that will determine the fate of the world. This is why Cults rarely work together. They are driven by delusions and don’t necessarily share any sort of common creed. One cult embraces the aberration and sees symbionts as a way to improve on weak flesh; another doesn’t even see symbionts AS symbionts, instead seeing them as amazing glittering treasures. The Cults seem to be an avenue for the desperate and insane, why would a rational person of means who join the Cults? See above. “King Arthur” could be one of the greatest generals of the Five Nations, in charge of thousands of troops. He could also be an amazing strategist and extremely rational person… except for the part where he thinks he’s King Arthur. Just because you’re insane doesn’t mean you’re desperate, and “insane” can mean MANY different things. Poor and desperate people might turn to a cult willingly because they see it as a source of power or a means of survival. But madness can strike anyone, anywhere. And that’s not even getting into the fact that Kyrzin could technically spread a cult by using the common cold. Why do people join the Cults? It seems like their core tenet is that everyone’s going to die, but the faithful die faster. Game mechanics sort of imply all cults are some what uniform. How much variation is there? Can they hate each other? Blood of Vol seems like a morally-ambiguous church (at least in terms of followers) -Why was Dragon Below not written similar? “Touched By Madness” is an article in Dragon Magazine (back when it was a magazine) that discusses a variety of cults. The Gibbering Cults are described in this article on the Daelkyr Kyrzin. Gibbering Cults cultivate gibbering beasts, and when a member of the cult grows sick or elderly, they feed them to the family beast. They believe that the soul lives on in the beast, and that they can hear its wisdom when they listen to the beast. Beyond this, they aren’t innately evil. They aren’t going to feed YOU to the family beast, because you don’t deserve it. Some gibbering families may be crazed killers; others might seem just like you and me – provided you stay out of the basement. Really, it’s not that different from the Undying Court. Collectively, the Cults of the Dragon Below are anything but monolithic. Creeds vary wildly from one group to another, and cults spring up spontaneously; sometimes a madman has a vision that infects the minds of those around him. A few common threads of thought, however, appear in similar forms across cult lines. One shared precept is that the world is an imperfect place. Khyber sought to perfect it—to eliminate pain, suffering, death and all other woes—but the other dragons turned on her, and when Eberron couldn’t defeat Khyber, she trapped her. The second element of this credo concerns the realm of the Inner Sun. It is the belief that a paradise exists within Khyber, a place where people can escape the suffering of everyday life. Most of the cults that subscribe to this belief consider the Vale of the Inner Sun to be a place that can be reached only after death, often coupled with the requirement that one must earn passage to the vale by spilling the blood of worthy enemies. This perceived duty has been the motivation behind the acts of many murderers and vicious Marcher clans. Many of these hereditary cults aren’t LOOKING for new members. You join one by being born into it, and it makes sense to you because that’s how life has always been. But you could certainly play a half-orc barbarian raised in an Inner Sun cult who’s joined the party looking to kill enough worthy foes to earn his way to the Vale… and he could end up being a great and noble hero, despite this belief. How do cults operate in Sharn, and what arm of law enforcement rides herd on them? The point of the Cults is that it’s hard to monitor them because a new one can pop up anywhere and the lack of a common creed makes it difficult to identify. So the Blackened Book is investigating the weird summonings going on in Ashblack, while the Citadel is looking into this whole King Arthur thing, and none of them have noticed the gibbering family living in Fallen. How would you suggest using a Cult of the Dragon Below as allies to the PCs instead of antagonists? Don’t make it obvious that they ARE a Cult of the Dragon Below. Again, that Gibbering family may be fine, decent, helpful people who just happen to be getting ready to feed grandma to the gibbering mouther in the basement. Or try this: there’s a cult that is convinced that they must steel their minds and souls to face a terrible threat. They believe that there are CREATURES LIVING IN OUR DREAMS and trying to control us. They are actually going around assassinating people because “Their minds have been consumed by dream-monsters”; they also have some awesome monk disciplines tied to this training. The leader of the cult is, in fact, a mind flayer, but he doesn’t eat anyone’s brains; instead, he “consumes their fears”, a process that does actually seem to strengthen will without harmful side effects; he also helps them operate without sleeping, to avoid the dream monsters, and it’s his training that helps them spot the “corrupted”. He tells the adventurers that he bears their kind no ill will and simply seeks to keep the dream-monsters from consuming the mind of the world. SO… is this all on the level? Is the mind flayer actually training people to oppose the Quori? Are they actually assassinating mind seeds? Or are they in fact just totally misled and crazy, assassinating entirely innocent people? When did the cults start to take hold? Were there giants and elves/drow that venerated the Dragon Below or did worship of the horrors get footing only after the Xen’drik cataclysm? Well, cults that literally worship KHYBER have existed long before the Xoriat Incursion. as for Xoriat-inspired cults, we haven’t mentioned any specifically, but there’s no reason some couldn’t have existed before the arrival of the Daelkyr; in fact, it would be logical for there to have been a cult in the Dhakaani era that laid the groundwork for the arrival of the Daelkyr in the first place. If the Gatekeepers didn’t stop the Daelkyr invasion, how would it have changed Eberron as a game system? Would it have been akin to, say something like Dark Sun or Ravenloft? Sure, or Gamma World. The ultimate goal of the Daelkyr is to reshape the world, and once they are done they’d likely move on to another world (as noted in the suggestion that the Gith are survivors from another world claimed by the Daelkyr). It would be a world filled with aberrations, madness, strange powers, and the like – both flora and fauna would definitely be affected. Dolgrim, Dolgaunts, etc, are obviously the goblinoid aberrations – if I wanted to create other races’ aberrations, what is the guiding principle regarding a “corrupt” race? Dolgrims and Dolgaunts don’t seem much like goblins and hobgoblins except in size. There is no “guiding principle”. It’s going to depend entirely on what daelkyr you’re dealing with. Kyrzin likes slimes and disease. Belashyrra has a fondness for eyes. Orlassk likes stone and petrification. Dyrrn just likes corruption in any form, mental or physical. As noted above, DRAGONMARKS could be the result of Daelkyr “corruption”. A Daelkyr may choose to create something designed to inspire fear or horror in others… or it may design something strange and bizarre that it simply finds pleasing or necessary for its goals. The Dols were created to serve as soldiers and unleashed on the Dhakaani. They were designed to horrify the Dhakaani and to be effective soldiers. Dragonmarked humans could have been engineered as a way to control the Prophecy (or they could have nothing to do with the Daelkyr – don’t get me wrong). Any form of manipulation is appropriate. What part, if any, do the Lords Of Dust play in the formation of the cults? What part do you want them to play? If it furthers the goals of their Overlord, a Lord of Dust might well set a cult in motion. The Daelkyr are weaker than the Overlords, and certain Overlords (such as the Voice in the Darkness) don’t see the Daelkyr’s actions as any sort of threat to their goals. Beyond this, of course, there are some “Cults of the Dragon Below” that are entirely dedicated to the Overlords as opposed to being influenced by the Daelkyr. Why did Vvaraak teach the orcs to fight the daelkyr? Wasn’t Darguun militarily the more capable power? Will of the Prophecy? It could have been driven by the Prophecy. it could be that the Daelkyr already had too much influence over the Dhakaani for Vvaraak to reach them. I’m inclined to say that the Dhakaani were simply too entrenched in their own cultural traditions to abandon them and embrace some bizarre tree-hugging dragon’s weird religion. The Dhakaani knew exactly how to handle the situation: steel, military discipline, and the magic of the Duur’kala. If some barbarian orc wants to go pray to moss or the “great earth dragon” – frankly, that sounds like the exact sort of madness our enemy is spreading. Since the Silver Flame opposes supernatural threats, does the Church of the SF have alliances with gatekeepers against Daelkyr? The Gatekeepers are almost entirely unknown outside of the Shadow Marches, and given some of the CotSF’s issues with Droaam aren’t entirely trusting of the Church; overzealous followers of the Pure Flame might well see orc mystics as a problem, not a solution. With that said, the Church of the Silver Flame seeks to protect the innocent from all supernatural threats, and the Daelkyr are certainly a supernatural threat. So I think that Jaela would find common ground with Maagrim’Torrn if they ever met, and I think most true followers of the Flame would help Gatekeepers if they faced aberrations together, but Thrane and the Shadow Marches are far away. Can an exorcist of the SF repel the Daelkyr and Xoriat beings? An exorcist’s Flame of Censure affects “outsiders with the evil subtype”. As a result, it WILL work against a Daelkyr – an evil outsider – but won’t work against a dolgaunt. Aberrations aren’t really the province of the Flame; it’s used to dealing with fiends, undead, and the like, and the point of aberrations is that they are fundamentally more alien than even a demon; aberrations are the things we don’t understand, things that don’t follow natural law. It’s been awhile since I’ve done an Eberron Q&A, largely because I’ve been spending most of my spare time working on my new setting, codenamed Codex (working title only – it’s my Blue Harvest). But I don’t want to neglect Eberron, and a few of these questions segue into my upcoming Codex post. As always, my answers are just my opinion and may contradict canon sources: it’s up to you to decide what to use! If there were anything you’d change about as-published Eberron, what would it be? What would you add or expand? Lots of things. I wish we’d had more space to talk about the planes and undersea nations. I’d like more information about the spells and weapons used during the Last War, and more information about what war in Eberron actually looks like (and how these things could affect a post-war story). I wish we’d been able to provide more support for goblins as PCs. I wish we’d gotten the scale right on the original map of Khorvaire. Most of these are practical things that I believe would improve the setting for other players & DMs. There’s other changes that are more about what I want in a world, but don’t necessarily serve anyone else’s needs. I’d like the history of Galifar to have been shorter and a little more dramatic. I’d like more restrictions on resurrection and more of an exploration of its impact on society. There are lots of other little details like this, but they’re more for my peace of mind than because they interfere with people’s ability to enjoy the world. As you progress in future RPGs/settings/etc, are there themes you tried exploring in Eberron that you’ll try to explore more? The Impact of Magic on a Society. Any time I’m working on a world or system that involves magic, I want to seriously consider its impact on the world around it, and how it could be incorporated into a culture. Codex is at a different point in the history of magic than Eberron, and there’s more of a breakdown of different cultures employing different forms/schools of magic. But the basic idea—if magic exists and is reliable, how will it change the world—is definitely there. War. There are many different ways in which war can generate stories. Eberron dealt with a civil war shattering a major kingdom. Codex will do something different… but war and its impact on the people caught up in it is certainly a theme that will be present. Dreams. I’ve always loved exploring dreams. The very first RPG piece I had published was essentially Inception rules for Over The Edge. I wrote Oneiromancy rules for Atlas Games’ Occult Lore. Eberron plays with the Dreaming Dark and the Kalashtar. Codex is going in a different direction, but dreams have a role in the world. Divine Mysteries and the Importance of Faith. Codex takes a very different approach to the divine than Eberron does. But it is still a world in which faith matters, where the absolute nature of the divine remains a mystery to mortals. Shades of Gray. There’s always a place for the cut-and-dried pulp villain; when you fight the Emerald Claw, you generally know you’re doing the right thing. But as a noir fan, I want the world as a whole to be less black and white. That’s just off the top of my head. I like conspiracies and intrigue, so you can be sure you’ll see a lot of schemes going on. I like to think about monsters—what are their cultures and drives? If I took another ten minutes, I’d likely come up with ten more answers, but I’ll get to those in the future. Do the Five Nations have or seek to have colonies? Colonization isn’t a strong theme in Eberron. By the numbers, the Five Nations aren’t even fully utilizing the land they currently claim; there’s no desperate need for new land. Beyond that, there’s not a lot of appealing land to colonize. Sarlona and Argonnessen are already taken, the Frostfell is hardly appealing, and Xen’drik is a cursed, twisted land full of dangerous things. With that said, colonization and exploration are themes I’ll be exploring in Codex. The Silver Flame infamously conducted a pogrom vs. lycanthropes. Has it similarly campaigned against other supernatural types? Sure. Remember all those demon overlords trapped in Khyber? They’re the end result of the very first Silver Flame pogrom versus a supernatural threat. Of course, that predates HUMAN worship of the Silver Flame. In modern times, there’s nothing on par with the purge of lycanthropy, but in part that’s because there’s never been a threat that called for it. The Purge was a response to a massive outbreak of infectious lycanthropy; if left unchecked, this would have consumed and destroyed human civilization on Khorvaire. The forces of the Flame met this head on, and once it was broken, took steps to eliminate it completely. If there was, say, a zombie apocalypse, they’d act with the same ruthless efficiency to hunt down and destroy all vectors of zombie infection. There hasn’t been such a large-scale obvious threat, and so we haven’t seen such a thing. But on a smaller scale, the Silver Flame is CONSTANTLY campaigning against supernatural threats. That’s the purpose of the Templars: Protect the innocent from supernatural evil. Are there ghouls in the graveyard? The templars will check it out when they arrive. Is Dela possessed? Call for an exorcist of the Silver Flame! People often see the Silver Flame as intolerant or overzealous, but it’s important to remember that Eberron is a world where there ARE rakshasa, vampires, and demons abroad in the world, where you could be possessed or where evil from Khyber could burst onto the surface at any time. If it does, the Templars are charged to face it and if necessary, to lay down their lives to protect you from it. Is there a Cannith family tree w/the prominent family member’s dates of birth/death & so on? How old was Norran when he died? I’ve never encountered or constructed a full Cannith family tree. 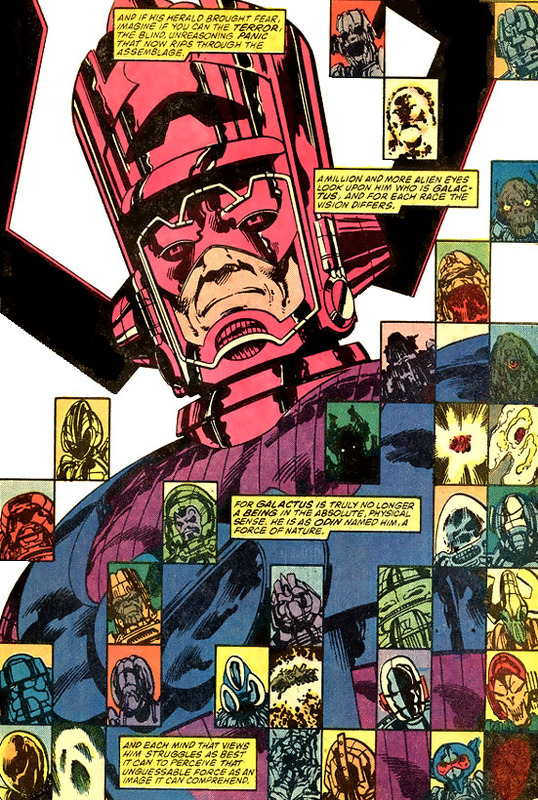 I don’t believe there’s a canon source as to Norran’s age, so it’s up to you to decide what best suits your story. Also would warforged eventually expire if sealed in a vault? If Cannith seals unwanted creations up, do they last forever? Warforged don’t need to eat, drink, or breathe. As such, a warforged could survive for a very, very long time if it was sealed in a vault. Do they last FOREVER? That depends on the environment. If you stored a suit of armor in this vault, would it still be intact and usable in a century? If the answer is “yes,” than a warforged stored in a similar way would also survive. If the environment lends itself to decay and corrosion, and if circumstances prevent the warforged from maintaining itself, it could fall pray to rot or corrosion. On the other hand, if it’s capable of moving and tending to itself, it could probably hold these things at bay. As defined, warforged have no set “expiration date,” and there are canon sources that deal with warforged created during the Age of Giants that are still operational. Can a rakshasa truly worship the Silver Flame? If not, why don’t Silver Flame priests detect the evilness of disguised rakshasa? This question originally dealt with the plot of a specific novel; to avoid spoilers, I’m addressing the general point. First, I don’t believe that a rakshasa can truly worship the Silver Flame… because if it does, it will cease to be a rakshasa and become something else. Immortal fiends are essentially incarnate ideas; if the idea changes substantially, I maintain that the creature will become something entirely different. A fallen angel becomes a radiant idol or a devil. A “risen” rakshasa would likewise take on a new form… perhaps that of a deva. Given this, how do undercover rakshasa avoid detection? They have to be able to duplicate the powers of the roles they seek to fill. A rakshasa posing as a silver pyromancer has to learn some way to make his magic LOOK like that of a true silver pyromancer, even if it’s not. However, the Lords of Dust have had tens of thousands of years to work on this. They have access to epic level spellcasters and hordes of treasure amassed since the dawn of time… so they can use magic items to help their disguises. One of the most important of these is the Mask of the Misplaced Aura, described on page 170 of Sharn: City of Towers; this is an amulet that gives the wearer a different aura for purposes of divination. So a rakshasa could have a MotMA that makes him show up as a 10th level lawful good cleric, even though he’s actually a 12th level lawful evil sorcerer/outsider. What would change if the Twelve creates some magic equivalent firearms just for dragonmarked heirs? It depends how effective they are compared to other weapons, from crossbows to eternal wands. Can they by any dragonmarked heir, or just one with a dragonmark? Do they require martial training, or are they mystically accurate (more like a longbow or a wand of magic missiles)? What’s the range? Do they automatically penetrate armor? How expensive are they—can every heir have them, or are they as rare as high-level sorcerers? One of the underlying themes of Eberron is the uneasy balance of power between the nobility and the dragonmarked houses; the military power of the houses has been held in check by the Korth Edicts. If the houses acquire this new tool, there is the chance for them to be seen as a new military threat. I expect that the Five Nations would seek to ban them, just as they shut down Cannith’s creation forges. The question is if the Twelve would defy them, and what would happen if they do. Will all the houses stand together behind the Twelve, or would some break ranks? Are the nations prepared to forgo the services of the houses to enforce this point? Might they convince the Church of the Silver Flame that these firearmed dragonmarked heirs are a supernatural threat that endangers the innocent? Ultimately, I think the answer largely depends on diplomacy and how these things are used. If they are used sparingly and in accord with the laws of the land, they might go largely unnoticed. On the other hand, if the houses flaunt them and engage in acts of aggression, it’s possible you could have an entirely different sort of Next War on your hands. You mentioned a pulp hero named The Beholder. Would he be more like Batman or The Shadow? The Beholder and her tagline (“No evil escapes the eyes of the Beholder!”) was inspired by the Shadow. The Beholder was a kalashtar with an assortment of agents (her “eyes”) she could communicate with telepathically to coordinate her war on the villains of Sharn. Why may Aereni be interesting villains? Hmm. The members of the Undying Court are tens of thousands of years old. They are one of the few forces who are capable of interpreting the Draconic Prophecy. Together, they wield divine power on par with the Silver Flame, if not as far reaching. They are capable of ruthless action in pursuit of their own interests, as shown by the extermination of the Line of Vol. Their power is limited beyond Aerenal, but can still be channeled through their priests and paladins. So, here’s a few ideas. Take a page from Fringe. The Undying Court has been watching humanity for thousands of years. Now it acts. Through some unknown method, the Court extends its power to (Sharn/Stormreach/wherever), allowing them to wield their full divine power in this region. This allows them to shatter any organized military force that challenges them. Aereni soldiers commanded by deathless paladins seize control of the region and place it under martial law. They are constructing eldritch machines that will extend the range of their powers and allow the Ascendant Counselors to leave Shae Mordai. First off, WHY? Are they trying to save humanity from itself? Is this really an attack on the Lords of Dust/Chamber/Erandis Vol, who were about to do something big in the area? Take it on a smaller scale. Aerenal decides that it won’t put up with the people of Khorvaire providing aid and support for its enemies (Erandis and the Emerald Claw). It begins to send military strike teams into the Five Nations to attack the Emerald Claw, and to hit areas with divine strikes. Aerenal considers these actions fully justified and is unconcerned about collateral damage. As an adventurer, you can easily get caught up in conflict with these forces, especially if you have any attachments to the Blood of Vol. Do you fight them? Strike back at Aerenal? Or try to help them finish their mission as quickly and efficiently as possible to minimize collateral damage? If you’re an elf, chances are your ancestors at least passed through Aerenal. That means the Court knows something about you. Perhaps you have an ancestor on the Court. Or you have an ancient enemy on the Court who has been slowly eliminating your entire line. He’s finally gotten around to you. He’s coordinating strikes from Shae Mordai. Not only do you not know who he is, you don’t know the basis for the feud. Can you find the answers to these questions before it’s too late? How do you reach him in Shae Mordai? Our local group is trying to get a better understanding of airships, which has made us curious about some of the choices used. In the campaign setting book airships use fire elementals and galleons use air elementals. It just doesn’t make sense to us. Why not just use air elementals for both ships? A galleon uses an air elemental to generate wind which it harnesses with sails. The fire elemental works more like a rocket. With that said, some airships do employ air elementals; Pride of the Kraken from Principles of Fire used both an air and fire elemental. I have been doing some research on flying fortresses. In doing so I stumbled across a forum post that was speaking about the command center. The post mentioned that it uses three bound elementals, earth, air, and fire. How does an earth elemental aid the flying fortress? I don’t believe it’s my post, so I can’t say what the original author intended. However, I could see it as possibly being less about the interaction with the earth and more about enhancing the structural stability of the vessel. If an elemental vessel loses its bound shard or it becomes damaged can it be repaired? Better yet can it be replaced? Provided that it survives the experience, sure. If someone removes it while it’s docked, it could be replaced. And a galleon could lose its shard and continue under normal windpower. However, a large airship that loses its shard while in motion is going to crash, so a new shard is the least of your repair issues. If shards are replaceable, would it then be possible to have a vessel that could swap crystals to take on different traits? I don’t see why not. This would be an argument for a ship with multiple bound elementals—so you could still have one active to maintain the stability of the vessel while you switch out the other. It seems that all of the Eberron publications only intend for the core elementals (air, earth, fire, and water) to be bound? Do you have plans for the other elementals? I know I do. Is it possible that they can’t be bound? I think any elemental should be able to be bound. I have no plans for them, but I certainly encourage you to run with the idea. Besides Q&A it would be cool if you write short Eberron stories (FR authors do it). I don’t know what FR authors do, but there’s a few factors here. First, Eberron is the intellectual property of Wizards of the Coast. If I wrote an Eberron story, they would be within their rights to order me to take it down or change it. Would they? I don’t know. But they COULD. There’s been issues in the past as to whether I could post an Eberron adventure on my site. And there’s certainly no way I could sell an Eberron story. This ties to point number two, which is time. I don’t have a whole lot of it, and the freelance RPG business isn’t the most lucrative job in the world. As a result, I need to focus the time that I have on projects that I feel are going somewhere. I’d LIKE to finish the stories of Thorn and Daine and Lei. But those stories belong to WotC, and I can’t afford to work on a story that not only can’t I sell, but that I might not even be able to post for free. Hence my working on Codex. I want to work on something that I know I can expand. So I’d be thrilled if WotC authorizes me to do more Eberron fiction. But it’s not something I’m comfortable investing time in without that authorization.